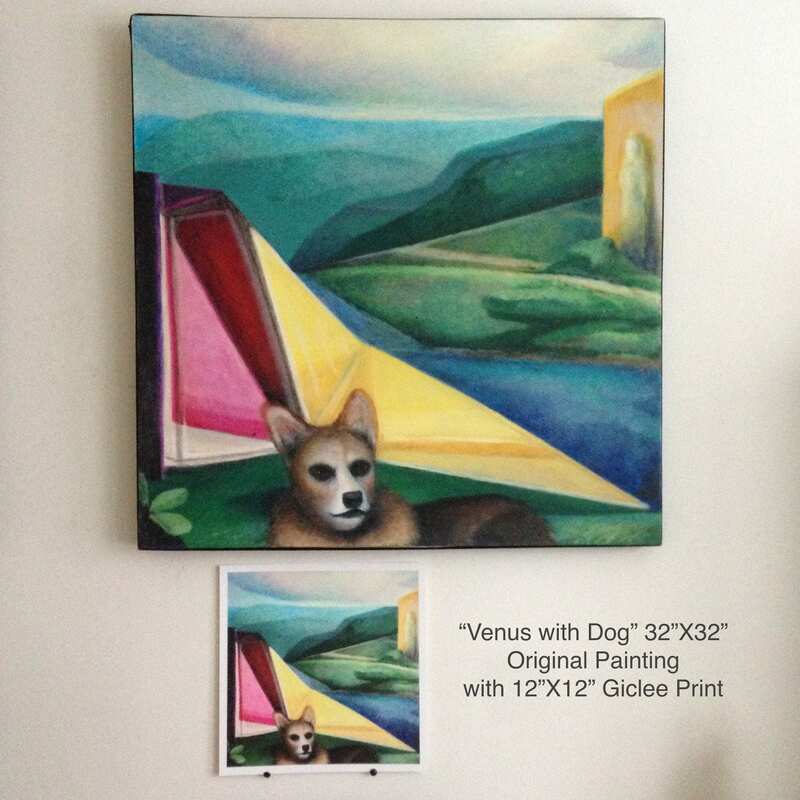 Includes Certificate of Authenticity, show exhibition card featuring "Venus with Dog" from the "SpaceTime Exhbition" in NY, NY, and the printed Painting Dossier including the creation progress timeline of the Original Painting. 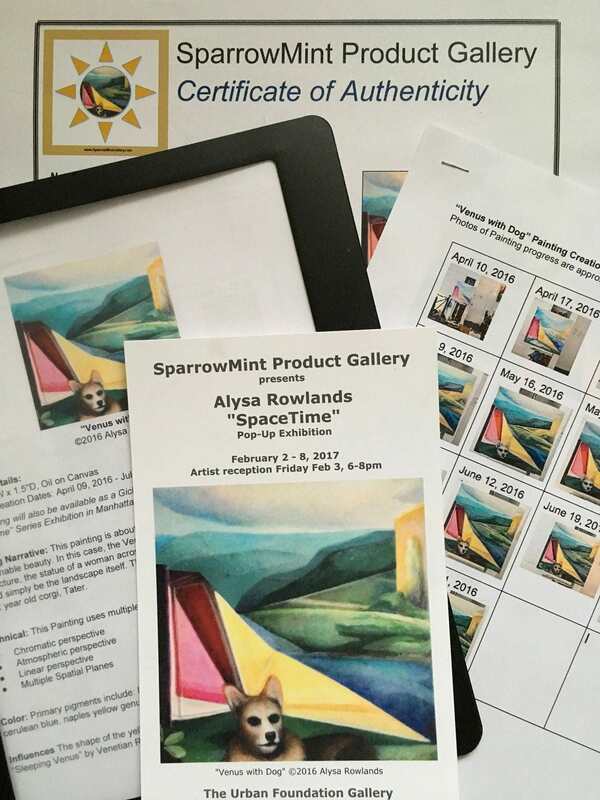 This painting will also be available as a Giclee Print after it's gallery debut as part of the “SpaceTime” Series Exhibition in Manhattan in Feb 2017, presented by SparrowMint Product Gallery. 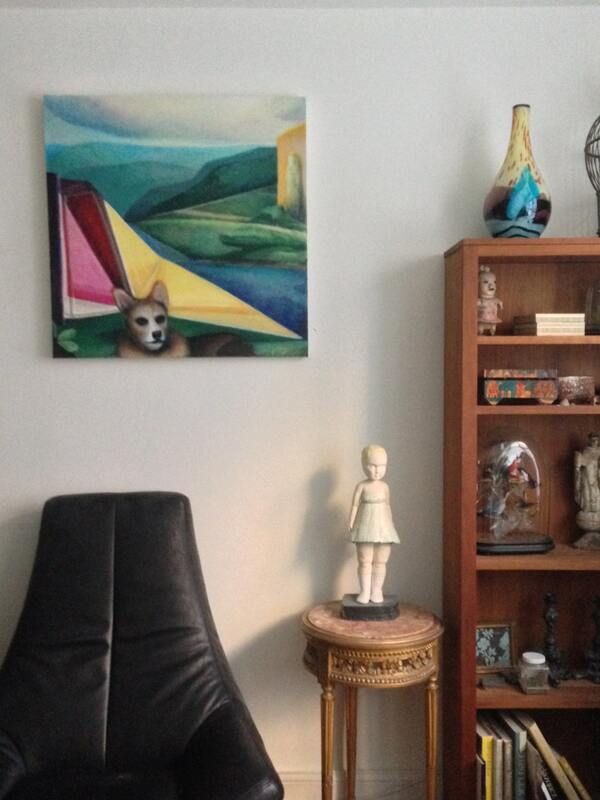 This painting is about the idea of a “Venus”, an object of unobtainable beauty. Venus could be the modern, brightly colored architecture, the statue of a woman across the river, or could simply be the landscape itself. 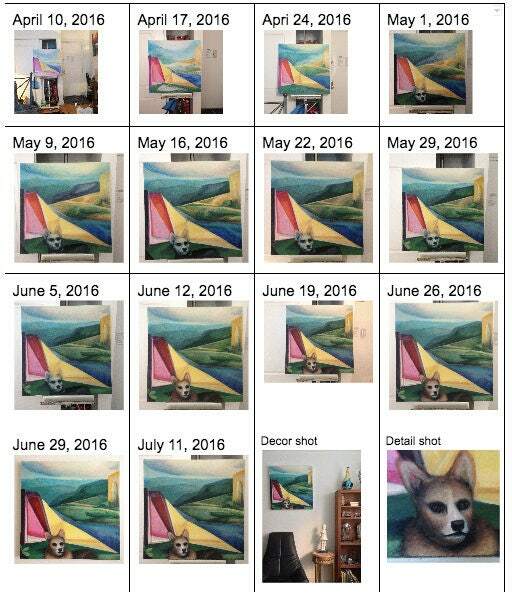 The Dog is a idealized version of my 12 year old corgi, Tater. 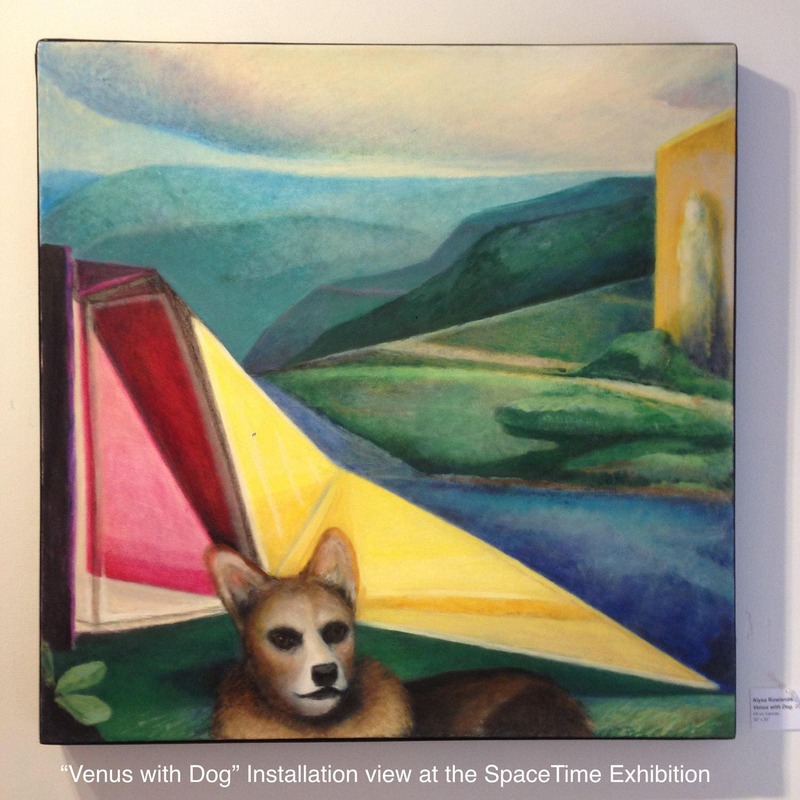 The "SpaceTime" series was influenced by Venetian Renaissance painting. The composition of "Venus with Dog" owes a nod to Giorgione's "Sleeping Venus"
Please note - white glove delivery is available in NYC. On the stretchers in a large Mirror box or it can will be taken off of the stretchers and shipped rolled in a tube. The stretcher bars will be shipped separately. A local framer will be able to mount the painting back on the stretchers.